ALABAMAWORKS! UPDATE NEWSLETTER - DECEMBER 2016 - AlabamaWorks! The new Alabamaworks.com website is the go-to place for both Alabama businesses looking to fill jobs and for Alabamians looking for work or job training. 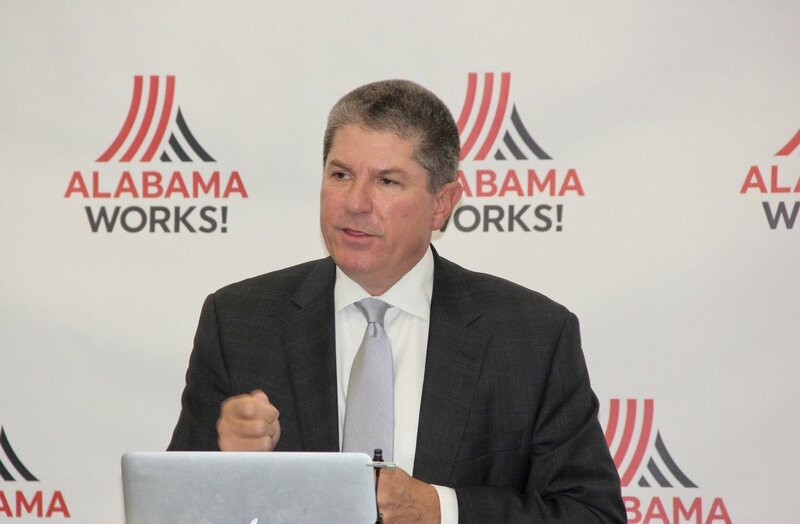 Last month, the website and the new AlabamaWorks brand and logo were unveiled at news events in Montgomery and Birmingham, and based on the broad news coverage and many comments received, I can confidently say AlabamaWorks is off to a great start. But the launch of the statewide brand and the statewide Alabamaworks.com website is only the first public chapter for our new unified workforce system. Over the coming months, the focus will shift to our seven reconstituted Regional Workforce Councils that carry the AlabamaWorks brand. It is through these Regional Workforce Councils that the residents and businesses of every county, city, town and community of Alabama will be served in meeting their workforce development needs. In November’s newsletter, I noted that the AlabamaWorks name has been extended to each Regional Workforce Council by incorporating a geographical locator with the name. But there is more to the branding of North AlabamaWorks, East AlabamaWorks, West AlabamaWorks, Central Six AlabamaWorks, Central AlabamaWorks, Southeast AlabamaWorks and Southwest AlabamaWorks than just the names. An important and essential element of the rebranding is the task of the seven regional AlabamaWorks councils to create their own websites to meet the needs of residents and businesses in their regions. The websites will be uniform in that they share a common, user-friendly design style aligned with the new brand and directly linked to Alabamaworks.com. But they also will be adaptable to the specific needs of the regions. These regional websites will be easy for our consumers – employers and job seekers – to remember and find, as they all incorporate Alabamaworks in their names. For example, northalabamaworks.com and eastalabamaworks.com. Easily accessible, user-friendly and readily identifiable websites are key to bringing all the component services – education, training, counseling, placement, etc. – under one brand, with the goal of creating the best workforce development system possible for Alabama residents and businesses. Visit the AlabamaWorks website here. We all know that welding continues to be one of the most in-demand crafts in Alabama for industry. Of course, welding is and will continue to be a major focus at our community colleges. This month, the state’s profile as a producer of skilled welders got a big boost when the Alabama Robotics Technology Park near Huntsville hosted two American Welding Society student skills competitions. 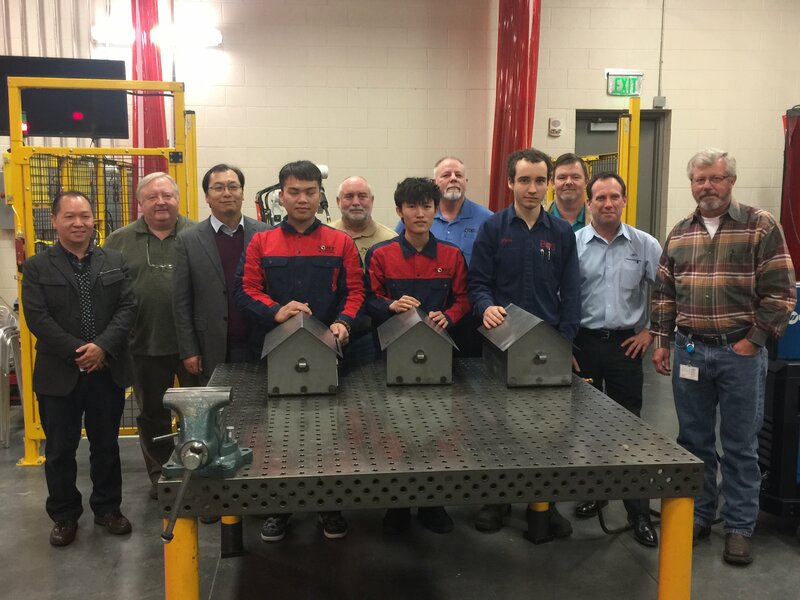 Not only was RTP the site on Dec. 5-8 of the AWS Skills Competition Committee’s SkillsUSA World Team Stage 2 of the U.S. Weld Trials and its Student Robotic Welding Competition, the park will also host Stage 3 (Jan. 16-20) and Stage 4 (Feb. 20-24) of the SkillsUSA competition. The U.S. winner of Stage 4 will be crowned the SkillsUSA World Team Welder and represent the U.S. in the WorldSkills Competition in October 2017 in Abu Dhabi, United Arab Emirates. The competitions are a great accomplishment for RTP, and featured competitors from several countries, including China, Canada and Australia. The Stage 4 competition in February will include competitors from those countries plus India, Saudi Arabia and Russia. Some of the welding competition student winners and their instructors. It is also worth noting that RTP will host the national and international competitions again in 2018. 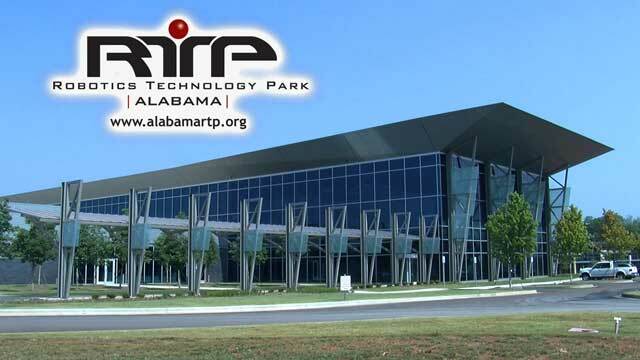 Congratulations to Director Rick Maroney and his staff at the Alabama Robotics Technology Park for landing these important welding competitions! The Alabama Robotics Technology Park is a collaboration of the state of Alabama, the Alabama Community College System, AIDT and robotics industry leaders across the nation. Its mission includes providing a trained, highly skilled and educated workforce for automation and robotics. For more information about RTP, visit its website at www.alabamartp.org. A big congratulation also to Mobile Works Inc. It recently was honored by the Alabama Governor’s Committee on Employment of People with Disabilities. Mobile Works receives top honors for its collaborative efforts with the Summer Work Program Team (comprised of the Alabama Department of Rehabilitation Services, Goodwill Easter Seals and Mississippi State University) at the Alabama Governor’s Committee on Employment of People with Disabilities awards ceremony on Dec. 6 at the State Capitol. The team was recognized for its successes and contributions in providing job opportunities for individuals with disabilities. Mobile Works secured the funding, Goodwill Easter Seals provided case management and job readiness services, and Mississippi State University conducted research to ensure the sustainability of the program and explore methods to improve on its success. Mobile Works was nominated for the award by the Alabama Department of Rehabilitation Services. 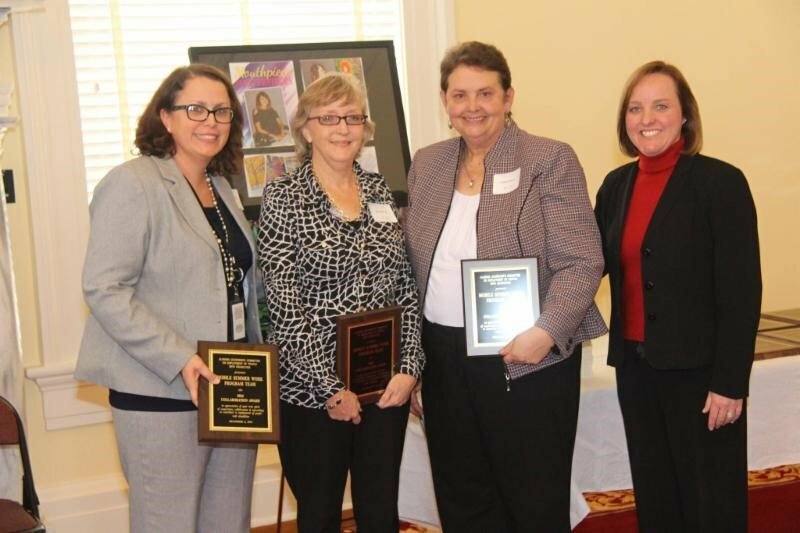 Mobile Works was presented the award by Jane Burdeshaw, Alabama Department of Rehabilitation Services Commissioner. From left: Jean Broach, Goodwill Easter Seals; Commissioner Burdeshaw; Sydney Raine, Mobile Works president; and Lorinda Day, ADRS. Since its inception in 2002, Mobile Works has served over 250 individuals with disabilities. It is one of three WIOA (Workforce Innovation and Opportunity Act) boards in Alabama. Next year, the number of WIOA boards will increase to seven to align with the seven Regional Workforce Councils. For more information about Mobile Works Inc., go to www.mobile-works.org. 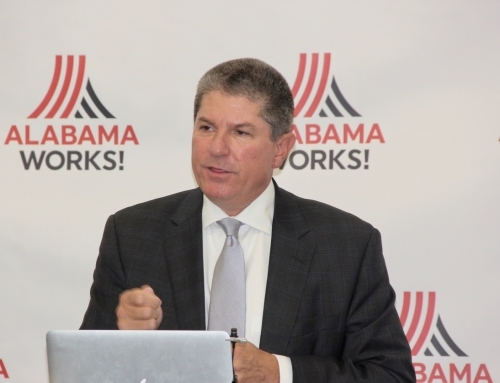 Here are answers to some questions you may have about the new AlabamaWorks. Q: I AM AN EMPLOYER, BUT I DO NOT KNOW WHICH OF THE SEVEN REALIGNED WORKFORCE REGIONS I AM IN. HOW DO I CONNECT WITH MY REGIONAL WORKFORCE COUNCIL? A: Simple. Go to alabamaworks.com and click the “Get It Here” button under “I’m an Employer.” From there, click “Connect Me With My Regional Team.” That will take you to a map of Alabama showing all seven regions and the counties in each region. Simply click your county. Q: I UNDERSTAND THAT EACH HIGH SCHOOL IN ALABAMA HAS A CAREER COACH TO HELP STUDENTS PREPARE FOR THE EVER-CHANGING JOB MARKET. HOW DO I FIND THE CAREER COACHES IN MY AREA? A: The Alabama State Department of Education has a list of career coaches for each county on its website. Click here to find the career coaches in your county. Questions? Please send them to us at info@alabamaworks.com. We will try to provide answers in our next AlabamaWorks Update. Zeke Smith, chairman of the Alabama Workforce Council, joined Business Council of Alabama President and CEO Bill Canary as keynote speakers at the recent Montgomery Area Chamber of Commerce’s Eggs and Issues Breakfast. Smith gave an update on AlabamaWorks, telling the audience that he’s excited about the launch of the brand and web portal. “That’s where we think we are going to be able to market and promote all these jobs that are available to all the many students in the state of Alabama,” Smith said. Click here to watch WSFA/Channel 12’s story about AlabamaWorks. 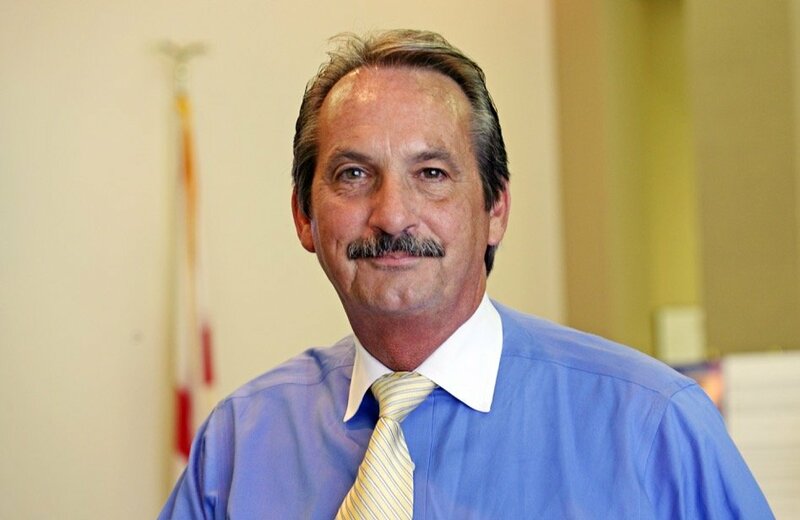 It’s been a busy month for workforce development news in Alabama. Here are some of the stories that made headlines in recent weeks. Tuscaloosa County Achieves ACT Work Ready Community Certification, Chamber of Commerce of West Alabama. What’s Right With Our Schools: Lawson State Welding Program, WBRC/Fox 6. Lenzing Alabama Expansion: $293 Million Investment, 163 Jobs, Made in Alabama. Wall Street Journal: Economic Survey Shows Auburn-Opelika Area “Resilient,” AL.com. Alabama Creates New Diploma for Dropouts, AL.com. Truck Drivers Are the Most Sought After for Jobs, WSFA/Channel 12. Southern Union State Community College Educating Future Employees for Next Industrial Revolution, The Randolph Leader. Birmingham-Area Leaders Partner to Train Local Young Adults for 925 High-Paying Jobs, UAB News. Mobile Focuses on Tech Sector Growth With Innovation Initiatives, Made in Alabama.